I love so many things about the holiday season including putting my outfits together. Whether you want to dress up, go more casual or just add jewels upon jewels, I have so many great ideas to help style you and your favorite gals! Go with a floral or other pretty print to bring some color to your look. And what I love about these options is they are easy to dress up or down, plus they are perfect to wear now and take you into spring too! 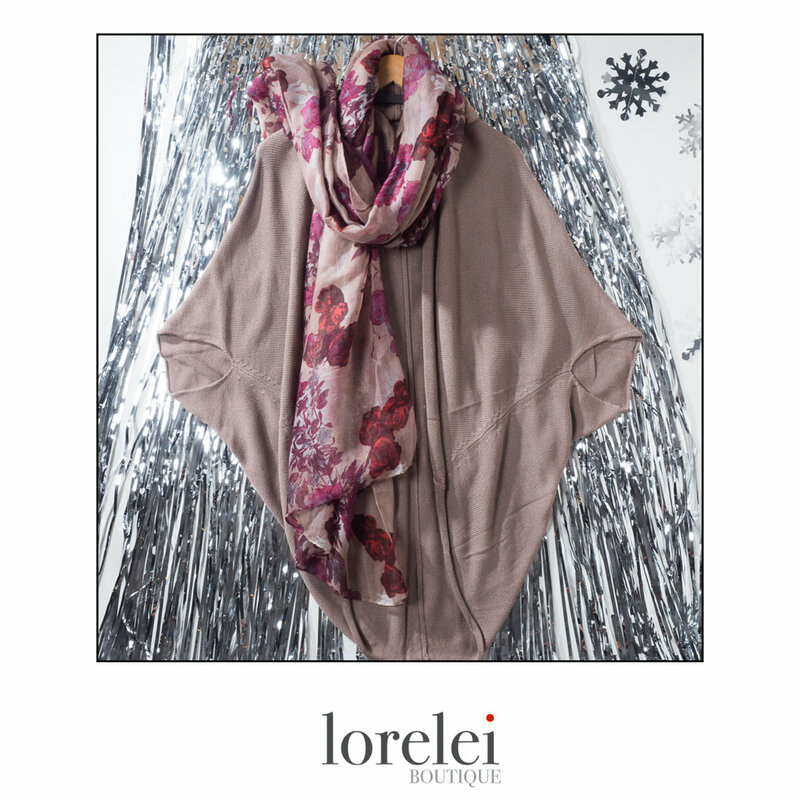 Easy, flowy cardigans and scarves look lovely and make you feel cozy. Put them on to dress up your denim, or when you need layering options for cooler temps. A great shirt dress has to be my all-time wardrobe fave! This one in yummy tencel fabric and with pockets -- give me a dress with pockets all day, every day! -- is the perfect go-to when you just can't think of what to wear and need an easy, get-out-the-door option. Dress it up with jewelry and booties, or go casual with sneakers or sandals. Plus it's a great travel companion! Putting my jewelry on is my favorite part of getting dressed every day because you can change up anything you're wearing by your choice of accessories. Make bold statements with sparkly earrings, layer pieces to add depth, or pick a one-of-a-kind vintage bauble. And speaking of jewelry...don't miss our Stocking Stuffer Sale 11am-3pm Saturday, Dec. 9. Enjoy 20% off select jewelry, handbags and scarves, plus 10% off the rest of your purchases and refreshments! Posted on December 7, 2017 by Julie Tenney.